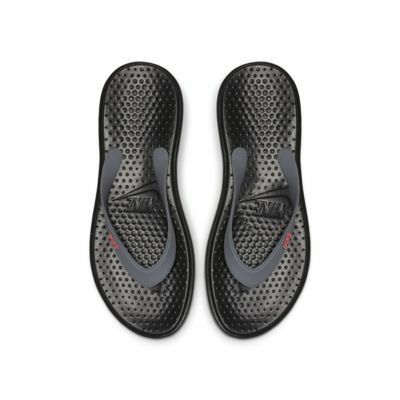 More than just a flip-flop, the Nike Solay Men's Flip-Flop provides all-day comfort with a textured footbed and plush foam sole. 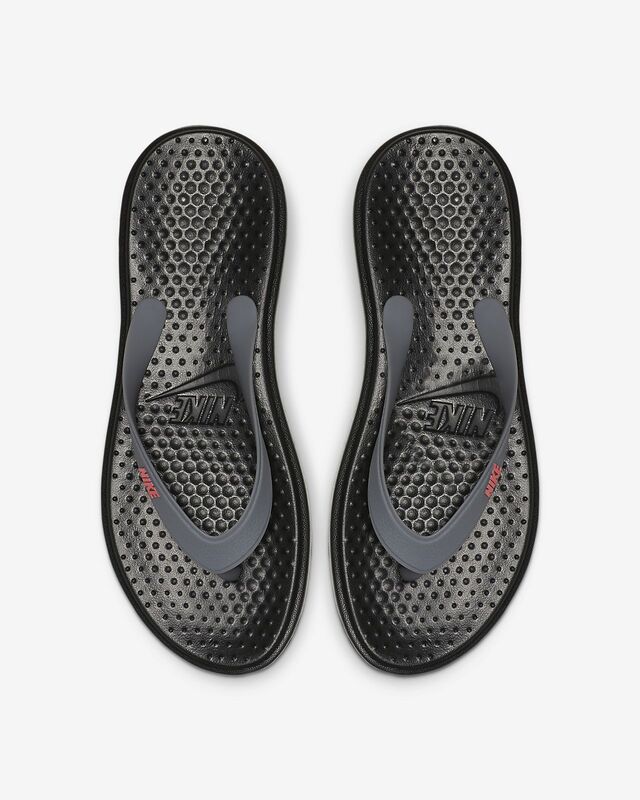 More than just a flip-flop, the Nike Solay Men&apos;s Flip-Flop provides all-day comfort with a textured footbed and plush foam sole. I saw these and they looked nice and simple. With summer coming around the corner I decieded to pick up both the black and obsidian colors. Very happy with them. Fits true to size and are very comfortable. Would recommend to anyone.